The Pageant was printed from June 1905 to March 1907. 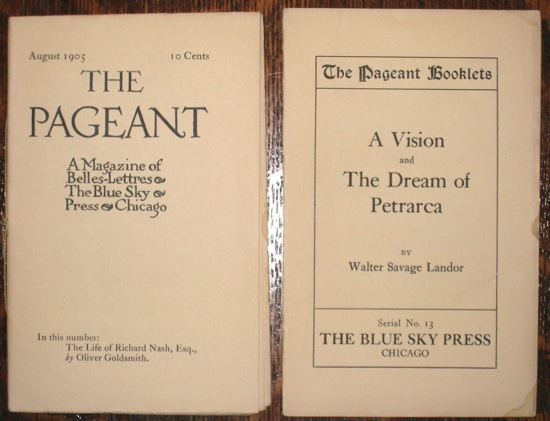 The edition on the right, printed in March 1907, appears to be the last item published by the Blue Sky Press. At the time of printing of the Blue Sky Press' last publication, there were still many of the Press' books unsold. 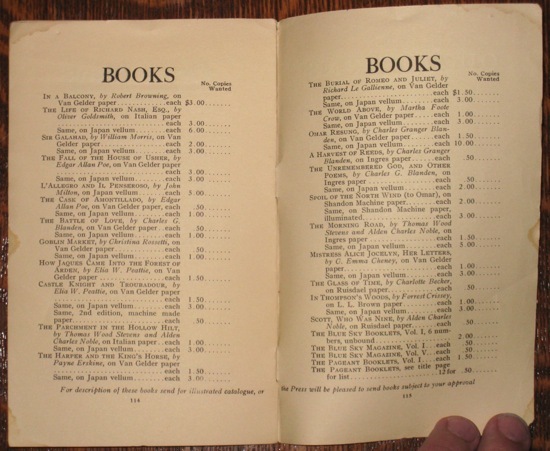 Above is a list of books still available. Most are priced $1.00 for regular editions and $2.00 or $3.00 on Japan Vellum.